The recommendations and referrals that healthcare consumers make to family, friends, and even strangers (via online rating sites, for example) influence their decisions on where they receive care. Convenient access to information and the care team is no longer a luxury, but a necessity. To learn more about empowering and engaging patients, I recently attended the Beryl Institute Annual Patient Experience Conference in Chicago, IL and the Patient Experience Symposium in Boston, MA. Healthcare professionals from across the globe gathered to discuss strategies for improving the patient experience. Several common themes emerged as ways of satisfying patients’ needs and their increasing demands for quality, efficiency and control over their health. These ideas go beyond “shiny objects” like digital strategy (as Michelle Mahan from Frederick Memorial Hospital noted), and speak more to the basics like culture, process, and relationships that will help you provide the care that your patients expect and deserve. The first step in offering patients a satisfactory experience is having the proper understanding of what that entails, and how experience and satisfaction relate to each other. Factors such as personal perception and expectations influence how a patient views their experience, which ultimately affects their emotions, attitudes, and behavior. But as Tom Workman (Partnership for Patients- CMS) and Martha Hayward (Institute for Healthcare Improvement) explained in their presentation on ‘Patient Engagement for Quality and Safety’, the goal of patient engagement is not satisfaction. Satisfaction is an outcome; it’s the ability to improve health, healthcare, and health equity that delivers what patients want. There’s always a story behind patient and family behavior - learning and sharing that story can lead to effective system change. By getting to know patients and operating on a personal level, satisfaction becomes a natural result rooted in the concept of what patients say about their care being more important than what healthcare organizations are saying about themselves. Nurturing a passionate, strong staff culture directly impacts the patient experience. It’s the job of executives and managers to explain what culture — shared sentiments about what we value — means to them both individually and collectively as an organization with the mission of satisfying patient needs. An interesting, somewhat alarming statistic heard during my conference travels came from Janet Porter of Stroudwater Associates and former COO of Dana Farber Cancer Institute. During her presentation on ‘Being Courageous for Patients and Families’, she shared that less than 3 percent of hospitals measure culture. As she phrased it, if you value culture, you should measure it and if you can’t measure it, you can’t improve it. By articulating culture authentically and leading by example, employees are motivated to be their best, and patient satisfaction tends to follow right along. One example of this was shared by Mary Ann Perez and Troy Gideon of St. Jude Medical Center in their 'Fostering Culture to Improve Patient Experience in the ED and Beyond' presentation. After receiving Magnet Recognition® from the American Nurses Credentialing Center (ANCC), they continued to promote their achievement for nursing excellence and high-quality patient care by implementing staff routines such as daily huddles and 'I Pledge' statements. 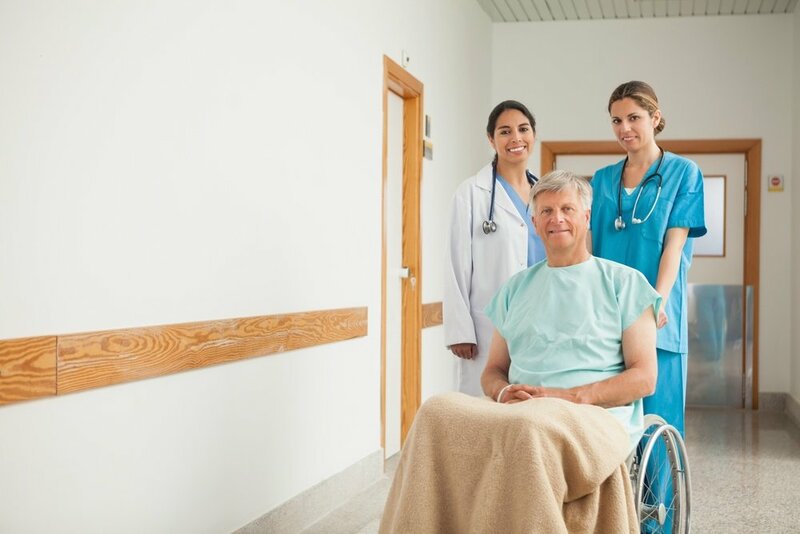 Having physicians, nurses, even staff secretaries make follow up calls to ED patients after discharge allowed staff to make a connection to what their patients experienced, and gave them more human interaction with the patients they cared for. This brought their culture to life through daily behavior, resulting in increased performance and improvements in quality outcomes. It also gave them insights to implement other services as they uncovered challenges faced by their patients when they left the hospital. Trust is a vital component in any relationship, even more so for clinicians and their patients. Building active partnerships and having respectful, empathetic interactions with patients, families, and professionals builds trust and eases the stress that is common in healthcare settings. One specific trust-building strategy came from Kevin Gwin (Chief Patient Experience Officer at the University of Missouri), who recommends creating social media-friendly surveys with meaningful questions that give patients a place to be heard. By intersecting survey data with EHR and Revenue Cycle data, implementing improvements based on unsatisfactory results becomes a streamlined process and a legitimate case usage of shared decision making. In her presentation on 'Building Loyal Patient Relationships through Consumer-Driven Care Strategies, Michelle Mahan (CFO, Frederick Hospital) demonstrated why going through trial and error to formulate the right patient experience program can make all the difference. With objectives including innovating their care delivery system to provide integrated care and supporting consumer decision-making, Frederick Hospital defined consumer segments and created specific priorities to build loyalty. Setting up transparent payment plans and providing navigation-assisted scheduling for patients drove results such as their abandoned call rate going from 23% to 3%. The lesson learned? Clinician/patient partnerships grow when you work with patients, rather than treating them as merely the next name on the list. Access: Patients shouldn’t find it difficult to communicate with their providers. Open appointments should be easily available without having to do any repeat work or deal with the frustrations of preferential access. Performance: Low complexity patients want their experience to be clear and fast, which builds confidence. While higher complexity patients need frequent touch points, shared decision making—a full, mutual understanding of risks and benefits— eases the patient learning journey. Engagement: Individual transactions should be cordial and respectful, with appropriate follow up action taken. The ongoing relationship requires consistent vetting of time and score, with fast access to help at all times. Purpose, Process, and Practice: Re-connecting providers to their patients’ purpose and understanding their priority for life over the complexities of ‘health’ helps simplify care. By scaling the care process to fit the patient purpose, you arrive at the desired clinician practice and as a result, can improve both staff outcomes and patient outcomes. The patient experience is the totality of what patients encounter - including culture, quality, safety, service, cost, and so on. Patients want to feel knowledgeable about their health, and by utilizing technology that lets providers spend more quality time with their patients, it helps them to live their best life, and incorporates the patient and family voice to identify and overcome challenges. Through these efforts, patients will feel engaged and empowered during every step of their experience. In this webinar, you’ll discover how MEDITECH Expanse provides the tools you need to improve patient engagement rates and the consumer experience.